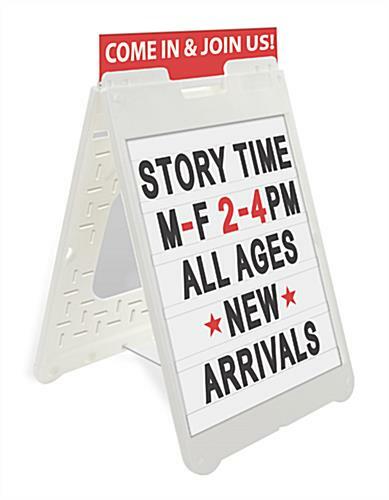 This Sign Supply that is Made from White Plastic Will Last When Used Outside! 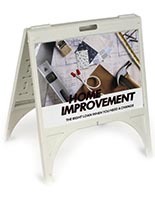 The Sandwich Board has an A-Frame Design that Folds Up for Portability! The Sign Supply is Sold at Wholesale in Our Online Warehouse! 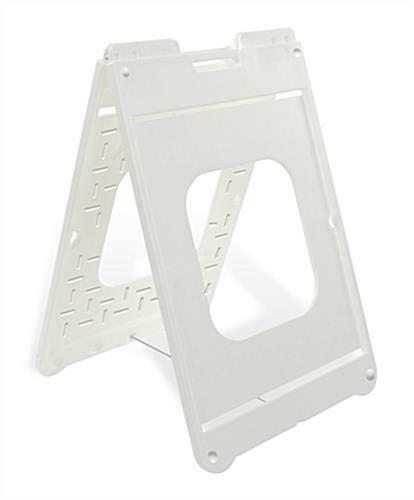 This sign supply that comes with a bracing support stays in place without closing up. The built-in stabilizer ensures that signage does not accidentally slide apart and become hard to read. Users are able to drop a sandbag on top of the bottom for more stability. 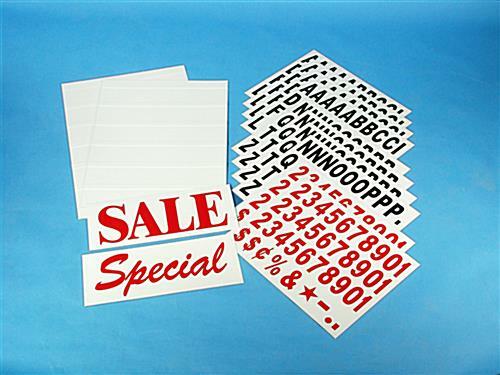 The sandwich board, sign supply includes some accessories, like a pair of letterboards and a set of over 300 characters. The signage rider near the handle can fit the included headers that say "SALE" and "Special". 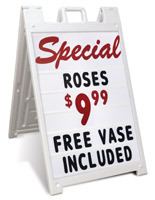 The sign supply, also called an A-frame forecourt display, is made for outdoor uses. The system can last in a variety of weather elements, too. 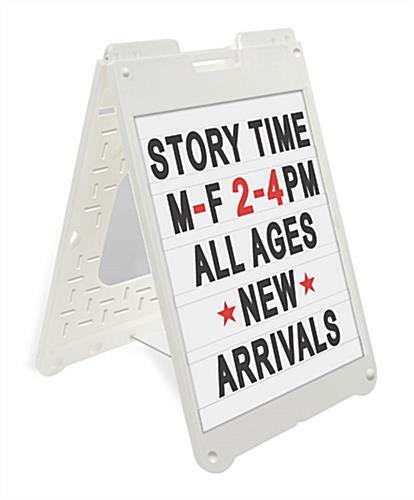 The sign supply is crafted from durable polyethylene for a long-lasting construction. The material resists chipping, rusting, peeling, and splintering. Promoters are able to set the unit up indoors or outdoors and enjoy a long-term display solution. 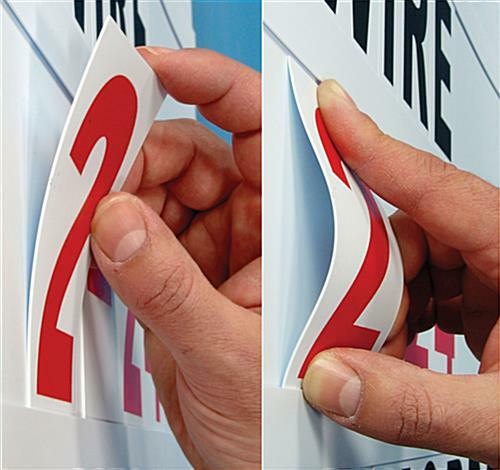 When the sign supply is opened, they lock into place to prevent over-extension. 24.3" x 73.3" x 24.5"